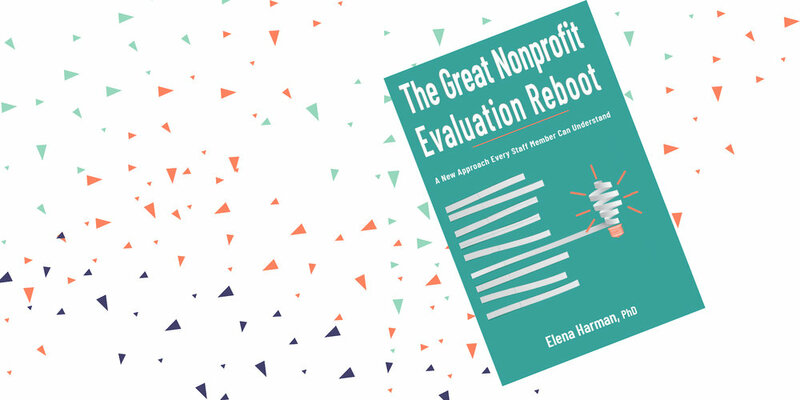 We’re excited to invite you to a celebration for our founder and CEO Dr. Elena Harman’s new book: The Great Nonprofit Evaluation Reboot: A new approach every staff member can understand. This book is a result of her passion and mission to craft an evaluation world in service of our communities and the nonprofits that touch them. Filled with actionable strategies for executive directors, program staff, communications managers, development staff, and board members, The Great Nonprofit Evaluation Reboot answers questions about how to measure your efforts, ask the right questions, and experience the true power of evaluation as a tool to improve your work. Attendees will enjoy light appetizers, music, and mingling with Colorado’s incredible nonprofit and foundation community. We look forward to seeing you there! Can’t make the party but still want the book? Order yours here. Tuesday, February 12 | 6:00-9:30 p.m.
REGISTER NOW to be included in a drawing for a free copy of the signed book. Book launch attendees will also receive a 25% discount on the purchase of the book. Share the event on Twitter!